A mini espresso machine, a toilet bowl light, watercolor pens, and 16 other things you’ll want to add to your wish list ASAP. 1. A mini espresso maker that requires no power and makes the perfect on-the-go shot. 2. These watercolor brush pens for making painting way less messy. 3. This vertical marble maze to help kids think things through spatially. 4. This adorable DIY scrapbook from Up that may make you tear up just looking at it. 5. A minimalist wallet to hold only what you need and nothing else. 6. These lotus flower earrings that are delightfully chic. 7. 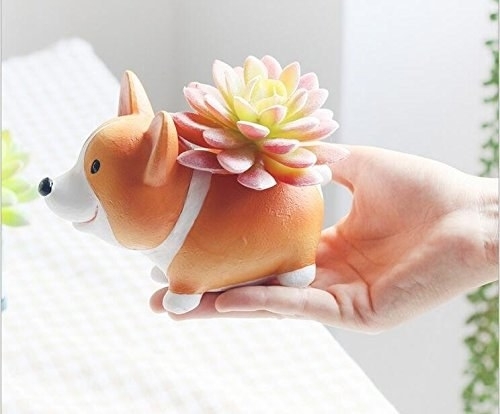 This corgi planter — it's unbe-leaf-ably cute. Promising review: "I love everything corgi now that I have an almost 2-year-old corgi. 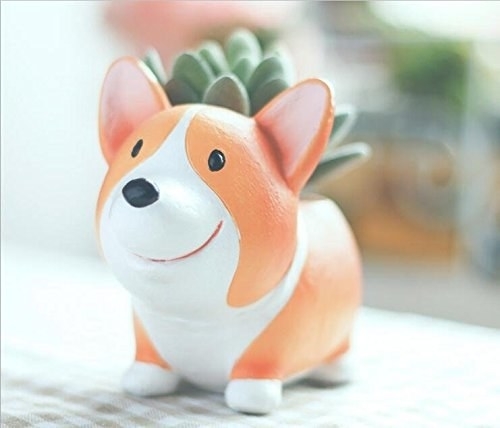 My supervisor gifted me a plant, and when I came upon this corgi flower pot, I thought it would be the perfect size, and it was! I have no complaints, and I've had this pot for about two months now." —L. Y. 8. 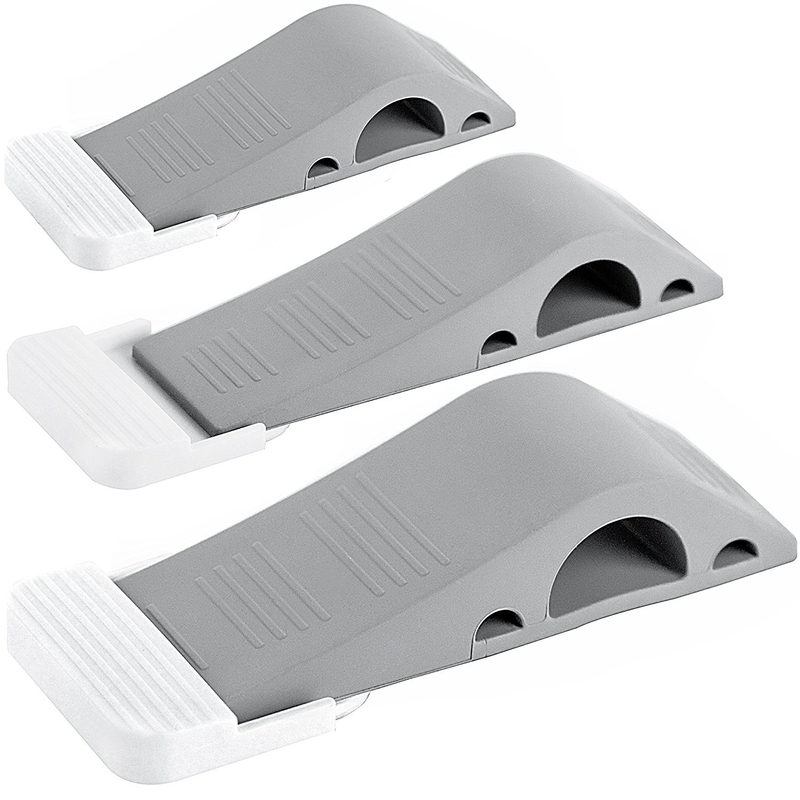 These aesthetic door stoppers that come with a wall hanger so they don't get kicked around. 9. An outlet night-light plate (a minimalist solution for dim hallways). 10. This backseat organizer that will keep your drinks cool *and* can convert into a tray table when needed. 11. A squirrel feeder for turning a pest into a performance. 12. This artisanal coffee gift box for those with ~refined~ taste. 13. These baking mats that'll give you more incentive to cook without worrying about cleanup. 14. This self-help book that defines the nuances of balancing the things that truly matter. 15. 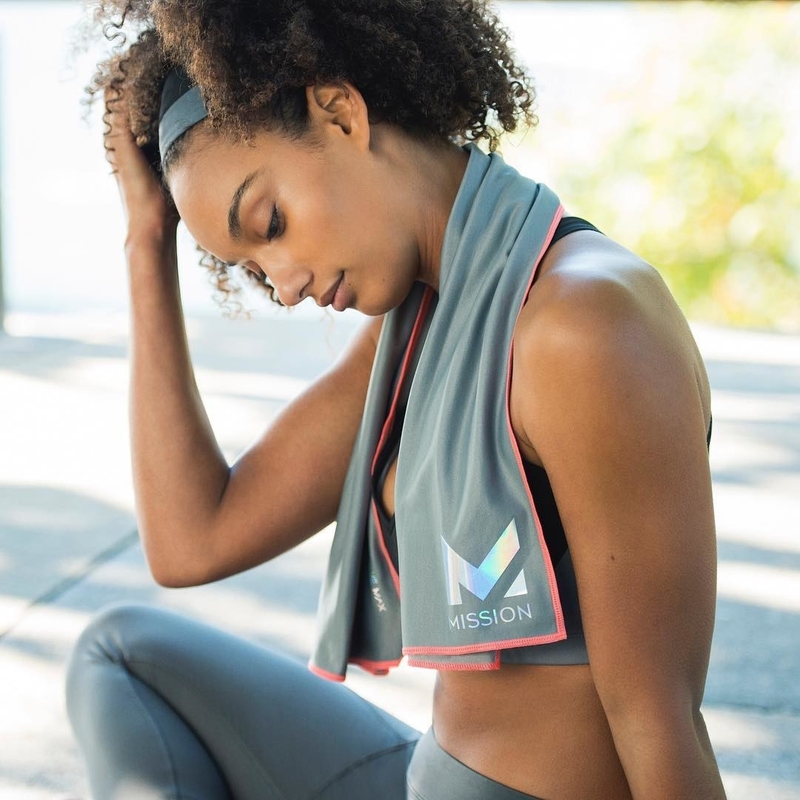 A versatile cooling towel able to stay 30°F below average body temperature when wet. 16. This car phone mount for sticking onto even the most bumpy of dashboard textures. Promising review: "Works really well on my Nissan Altima's 'bumpy' dash! I was worried it wouldn't stick because of this, but the extra little dashboard sticky they sent with it solved that issue. And it won't leave messy sticky spots on my dash. It holds my iPhone 6 very nicely. I like to have mine in landscape so I can see more of the roads and surrounding areas when using my Waze app. It works great and holds up to bumpy roads well." —Robin M.
17. An antibacterial towel that smells fresh for longer during extended trips. Promising review: "I am planning to replace all of my cotton terry towels in the house with these! The energy savings of drying cotton towels alone will more than pay the price of each one of these in no time. Once you get used to it not being a 'traditional' towel feel, you realize that it works better than those heavy cotton things. Fantastic for trips and camping, as well!" —M.S.S. 18. This toilet seat illuminator for making nighttime bathroom runs an adventure. 19. And a folding wagon that makes for easy transport to the beach or park.